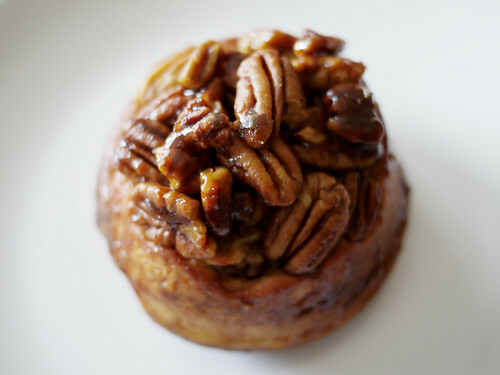 M. waited for 10 minutes in the perpetually slow line at Bouchon to bring us back a sticky bun for dessert. I don't know that it was worth her time, it's good, but unless you're a extreme nut lover, the inside hid too many crushed pecans. Maybe a dollop of vanilla ice cream would help.